Are you chasing results or are you attracting opportunities? Why do some of us work hard getting nowhere, while others flow their way to fortune? This collection of all 12 Wealth Dynamics Power Packs, guides you through the answers with the stories of the world's greatest entrepreneurs - and showing how their stories will guide yours to wealth. It is designed as a 12 month coaching program that you work through week by week to gain a deeper understanding of Wealth Dynamics, entrepreneurship and creating wealth. Wealth Dynamics is the world's leading entrepreneur profiling system. Created by Roger James Hamilton and harnessed by over 24,000 entrepreneurs around the world, it guides us to our path of least resistance. There are 8 paths (or games/styles if you prefer) and yours is one of them. Once you have completed your Wealth Dynamics Profile Test, you will learn which path is yours. With this 12 Power Pack Collection, you will be guided through an in-depth understanding of your profile, your role models, their proven strategies, the team you need, your winning and losing formulas, and wealth you can create and the legacy you will leave. Wealth Dynamics is the language of entrepreneurs. and experience a world of wealth unfold. 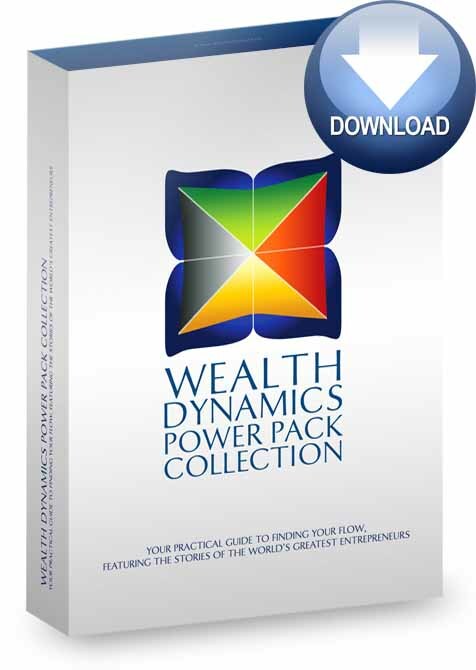 Click the button below to add the Wealth Dynamics ePowerPack Collection (Download) to your wish list.